Good luck to all and have a nice day! For all of you that asked for a Long War edition of my mod... well there is one now! and its 100% times easier to install since you just have to copy 1 single file! availlable now here on the Nexus : http://www.nexusmods.com/xcom/mods/669/? 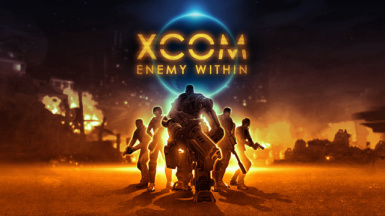 then, i copied the 2 files from folder #5 (5-ULTIMATE_UBER_Version) from enemy within to the "\SteamApps\common\XCom-Enemy-Unknown\XEW\XComGame\Config"
then launched the game... and the mod STILL WORKS!! Start a new game, skip tutorial, as soon as you have control of your first character, throw a grenade!! if it does 5 damage instead of the usual 3, then the files are installed and working!! I am having the same problem as PathiosDaxion to a T. thanks for any help you can provide. but if not no biggie. nice looking mod. of course X:\games\ is an example... put in the correct drive letter and folder path for where your Xcom-Enemy-Unknown folder is! I have my steam library in another HD. Steam created the following folder: E:\Program Files (x86)\SteamLibrary\steamapps\common to drop the game folders. 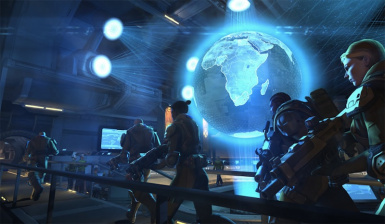 When I try to tell the mod the location of the folder, It says: "[ERROR]> The Specified XCOM Root Directory [ E:\Program ] is not valid". The Patching Process was Aborted"
Tried to remove the spaces between Program and Files, and pretty much any other combination of the directory name to make it work. To avoid typos, I've dragged the directory from the explorer to the CMD screen, but it still doesn't recognize it. Hello, I have the same issues as the other people, and I have tried everything. I believe it works for you because you have Enemy Within. For us ppl without it, it doesn't work. is what I get. No matter where I use the command prompt, no matter where I have the files, this is what happens. It is looking for a EW thing, but we only have EU. I am 100% positive that is the problem. You cannot verify this because you have EW. How can you test for EU only ? The batch file clearly says it is looking for a EW file somewhere. My game does not have EW, so it is impossible for the file to work. And before you ask, yes I am 200% positive I am using the EnemyUnknown batch file, not EnemyWithin. Yeah I was using your example command and it used the EW config file. So I typed EU instead and that worked but still, the mod didn't work in-game. very glad you finally worked it out!! not sure why the batch file wasnt working... but for ANYONE else having similar issue, search this thread and find the manual install steps and you will most likely succeed if you have basic computer knowledge! good luck to all.. i'm going back to modding my witcher3 now! It's not working for me. It says that xcommodhelper.exe is not a recognized command. It could be because I'm using powershell. Gonna try using the patcherGUI. Maybe a silly question but how do I know if the mod is working? I just can't seem to use this mod even. Is there any third party nividia program I need or something? It appears this mod does not work. Can i ask about a fusion version of "3-Only_Money-n-Meld" and "5-DONT_PANIC!"?. Does this mod work for the Mac version of the game? Does that mod only work on new saves? Hello. Could someone help me create a version in which the psi/gene/aug/build times are reduced?